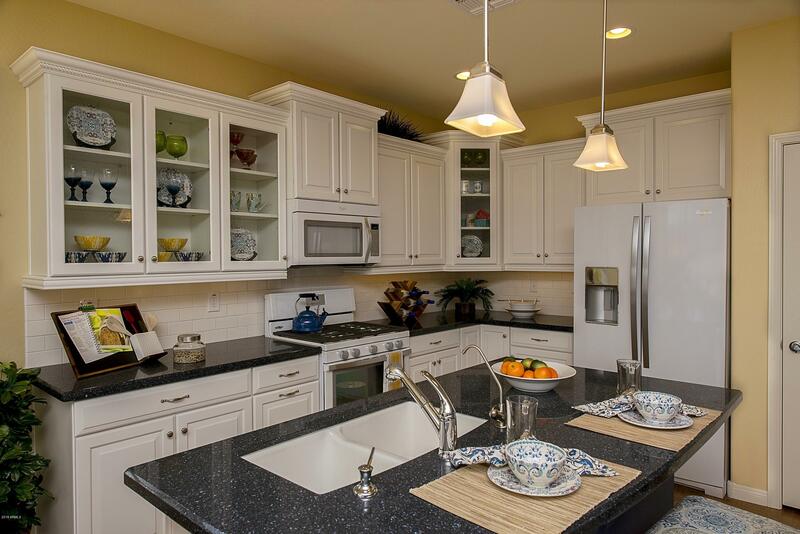 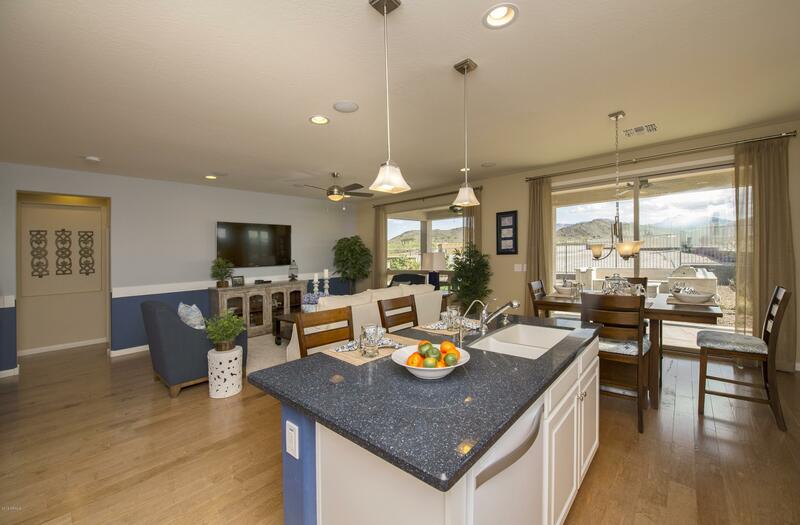 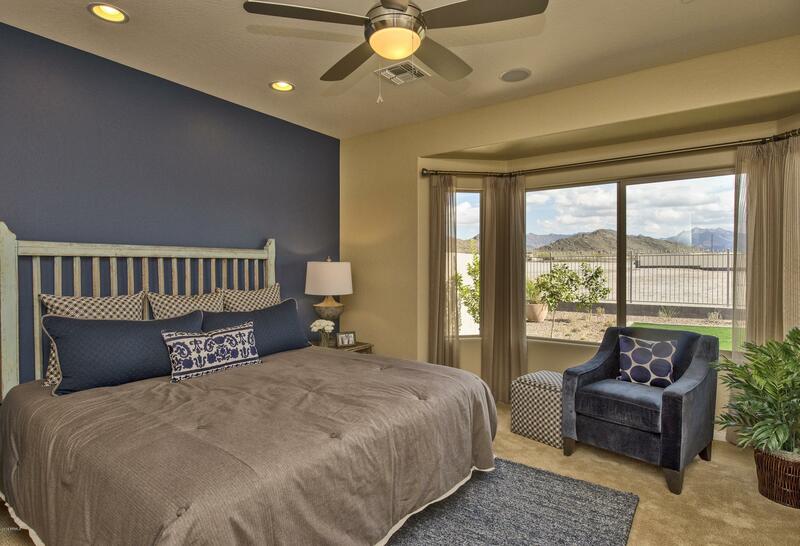 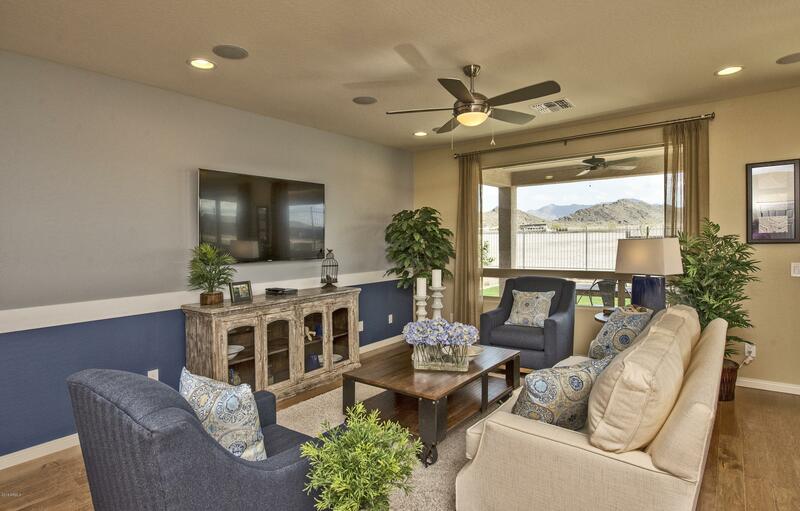 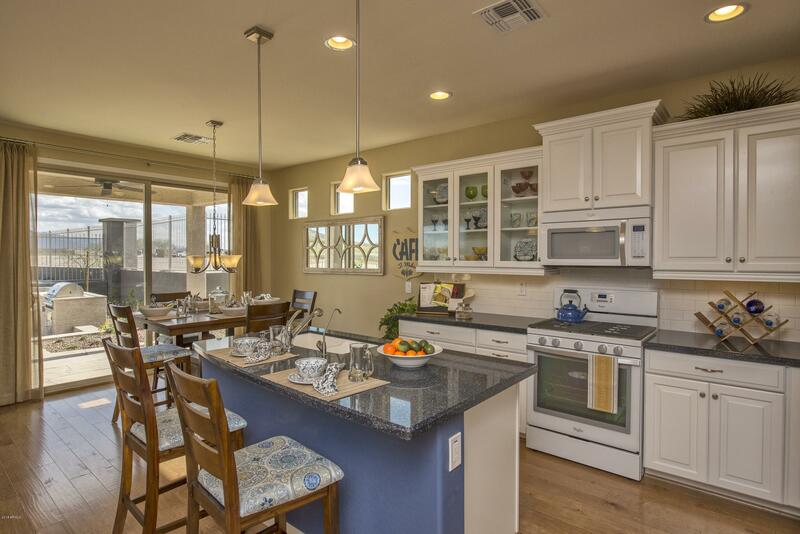 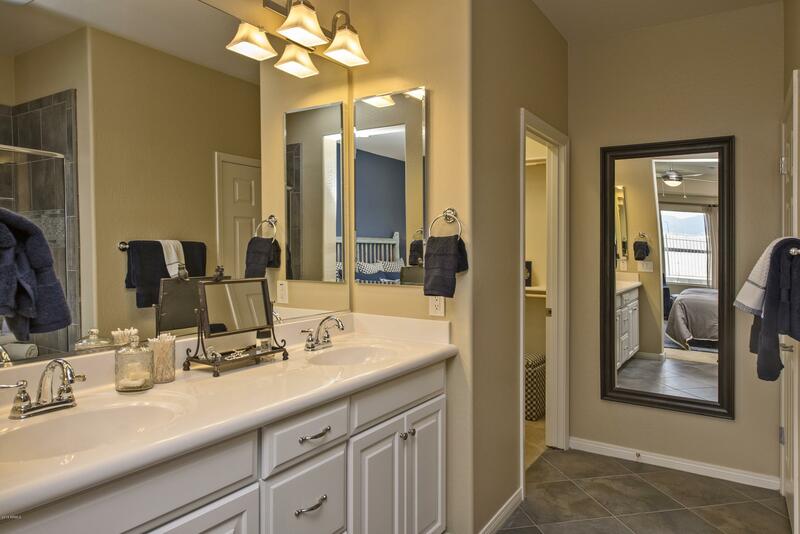 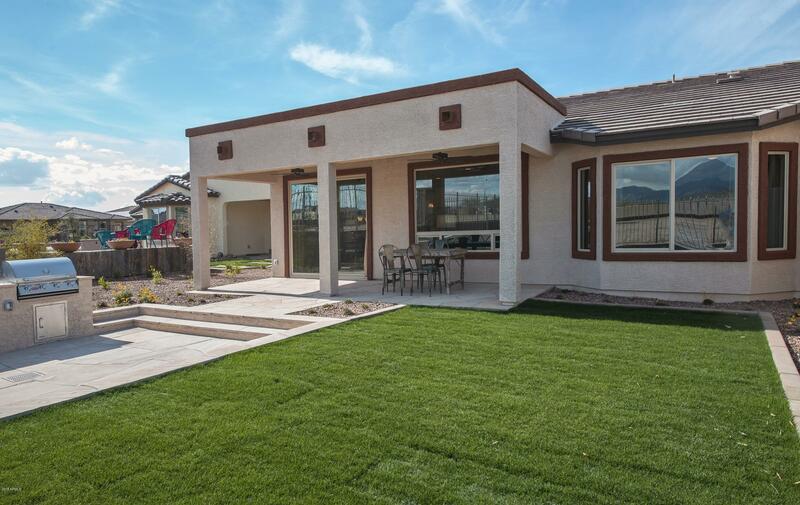 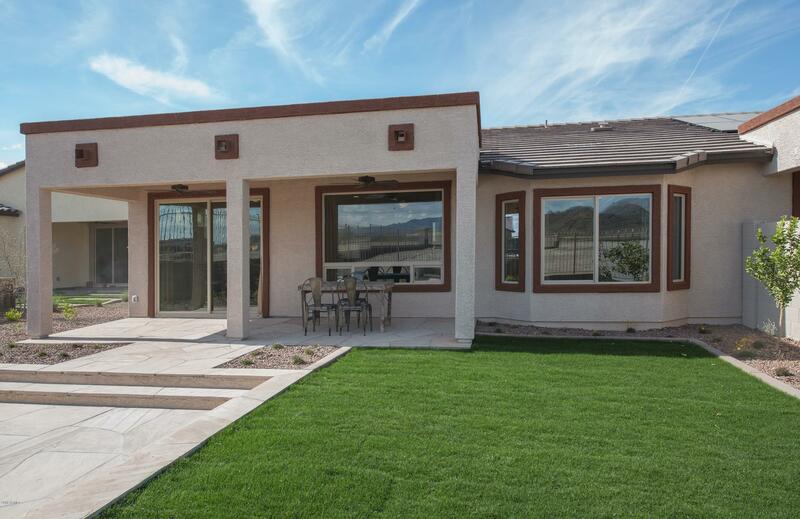 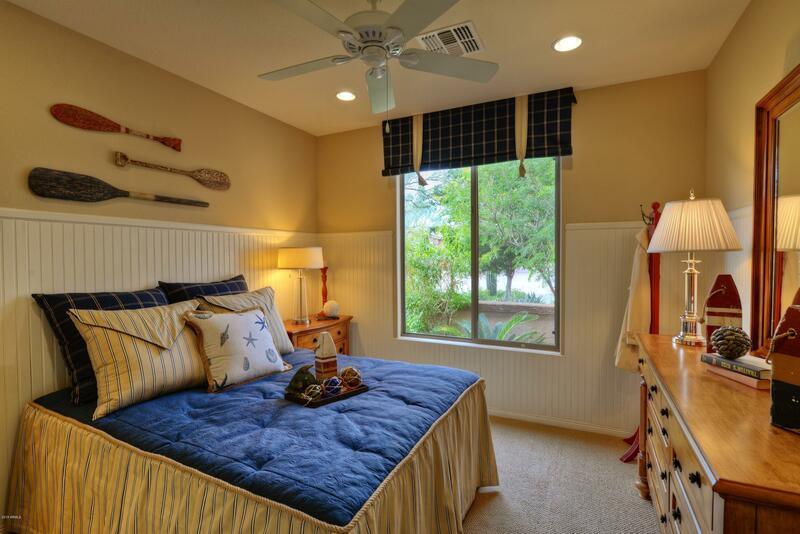 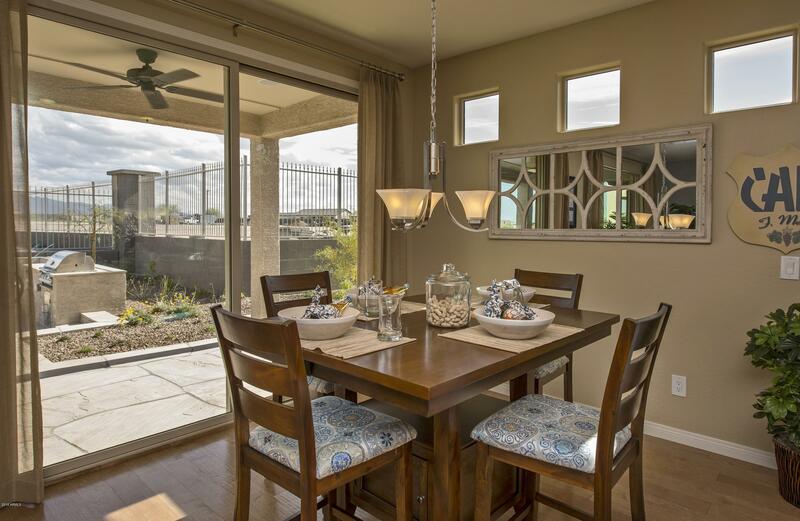 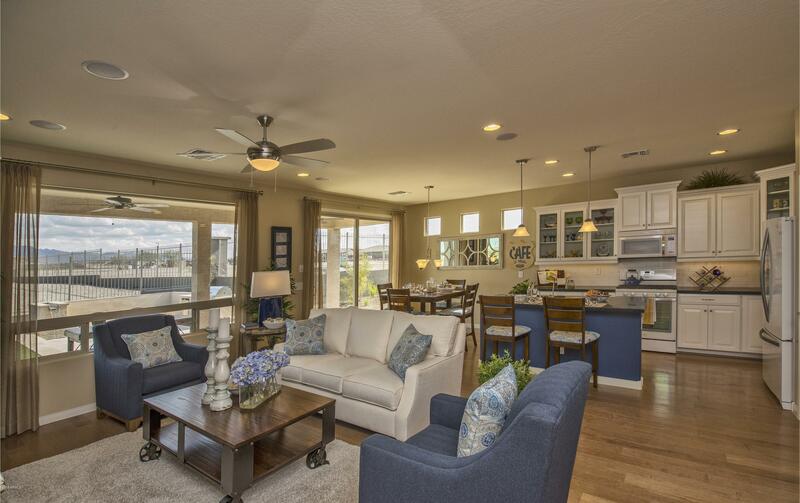 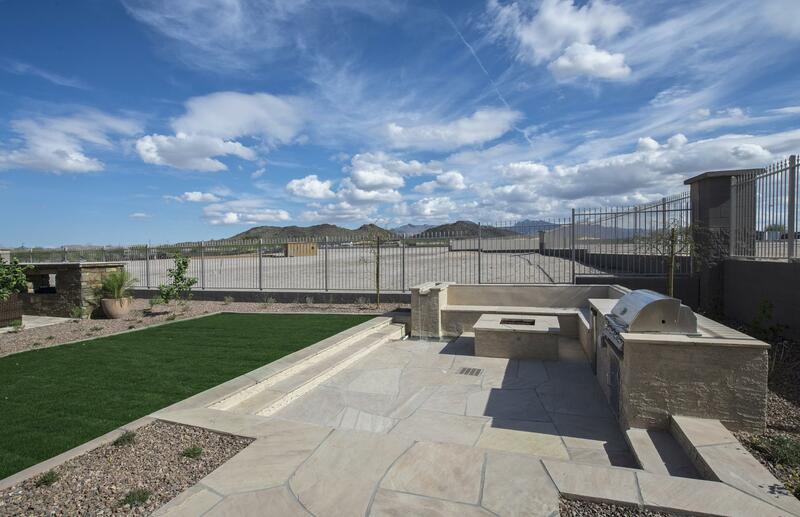 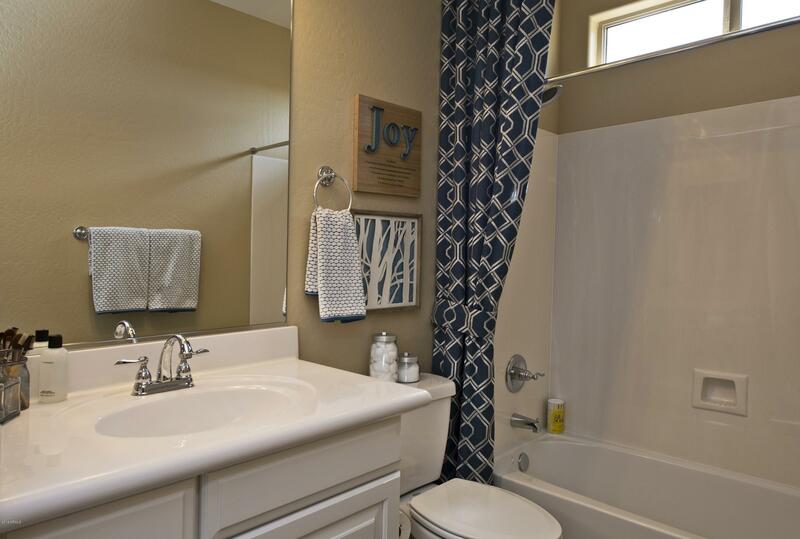 Located just outside the Phoenix metro area, the 55-Plus community of CantaMia is comprised of 587 total acres, including lakes and waterways, walking paths, beautiful common areas, a welcoming gated entry and a long list of amenities for residents to enjoy. 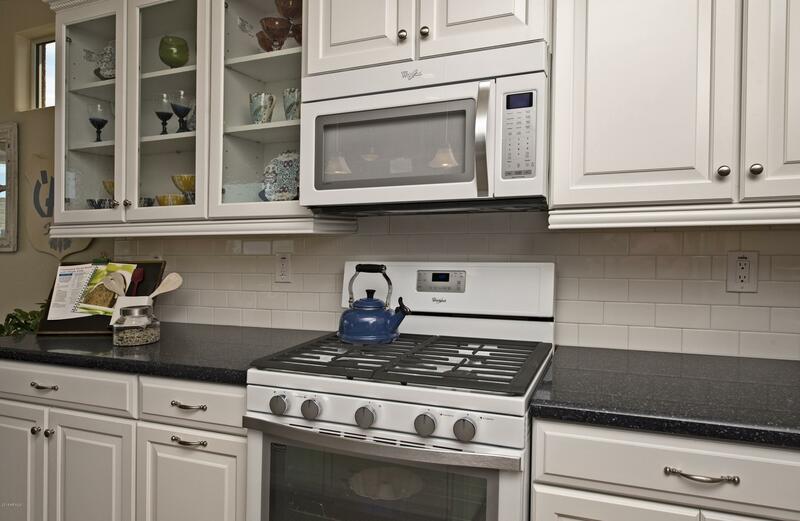 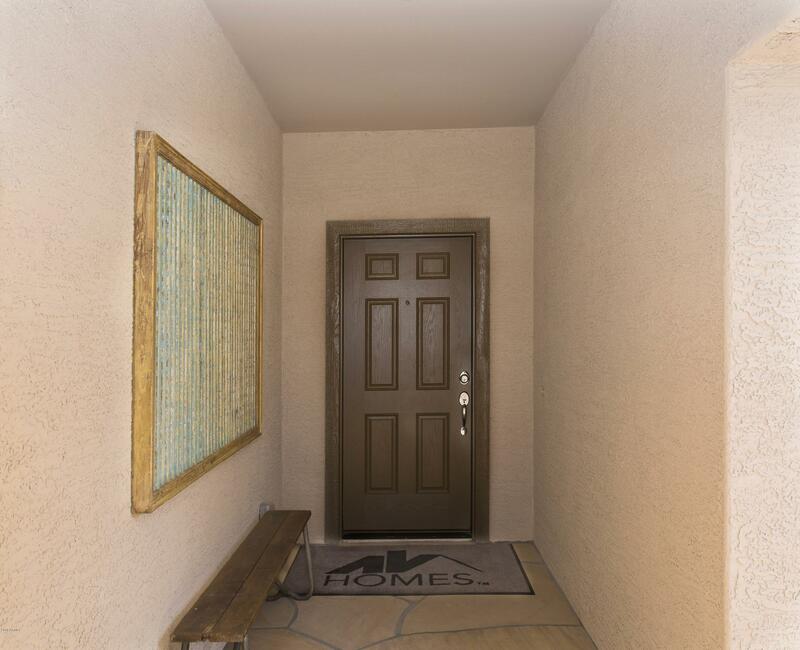 Model home for sale. 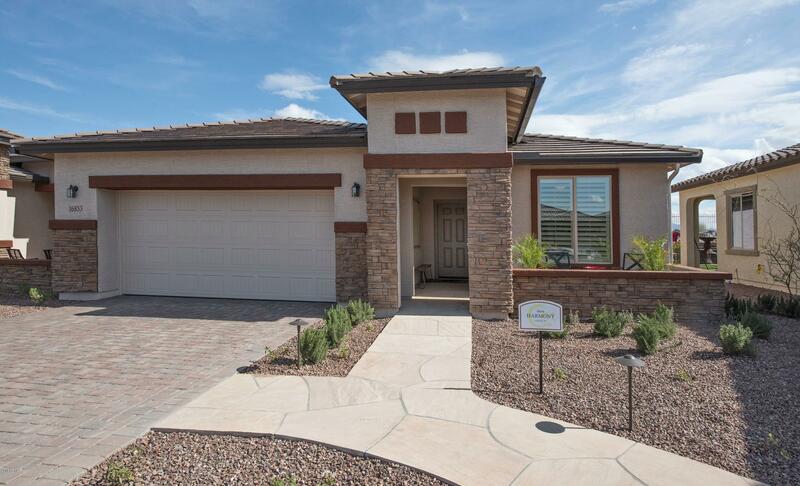 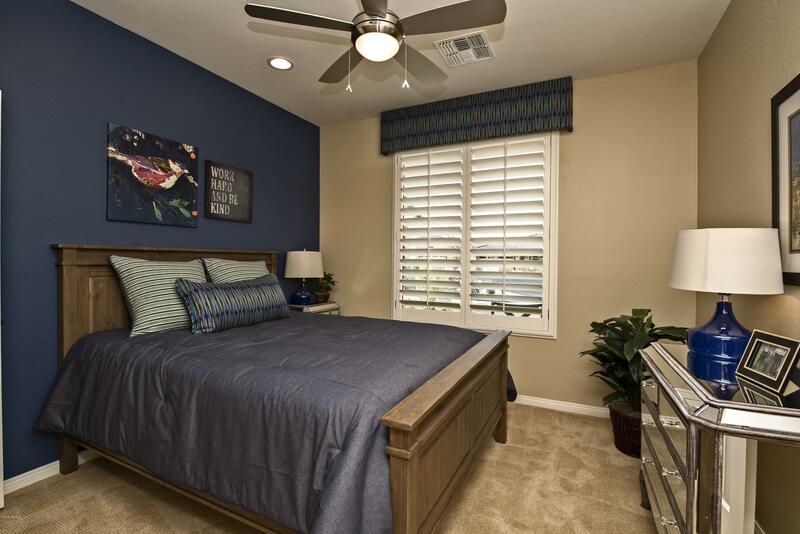 Harmony floor plan features 2 bedrooms, 2 bathrooms and 2 car garage. 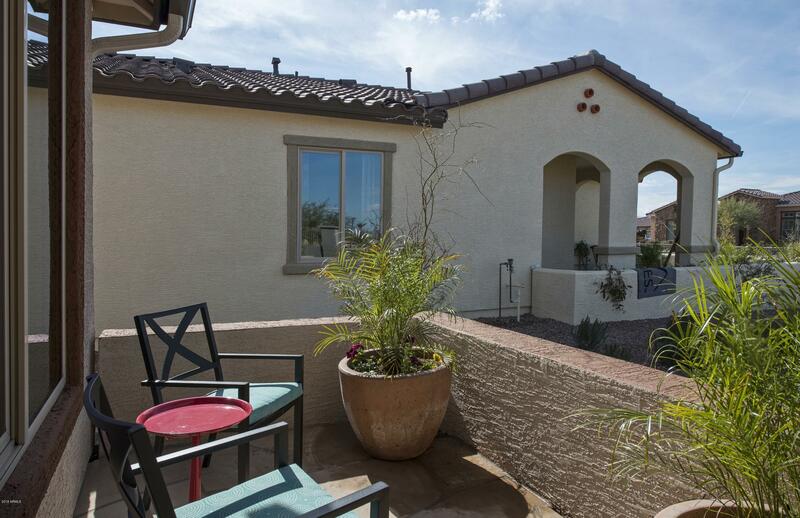 Upgraded features of the home included upgraded flooring : wood plank, carpet in bedrooms and tile in bathrooms, linen glaze cabinets, white appliances, two tone interior paint, bay window at master bedroom, extended covered patio, pavers at driveway and courtyard, and front and backyard landscaping.